Home › Combi Boilers › What is a Combi Boiler? Combi boilers are very efficient, not only that, they are the most commonly installed boiler now across the country. But, what actually is a combi boiler and what differences are there compared to say, a standard system? Combi boilers, or combination boilers, are a space-saving unit which have revolutionised the way in which we generate hot water and heat within our homes. In a typical central heating system you would have a boiler on the wall, floor or behind your fire (back boiler). You would then have a separate hot water cylinder which would be located in the loft space or in your airing cupboard (big copper tank!). In order to get a large bath filled, you would need to heat up this whole tank of water with your boiler, whatever isn’t used is then wasted. Which is, well, a waste. 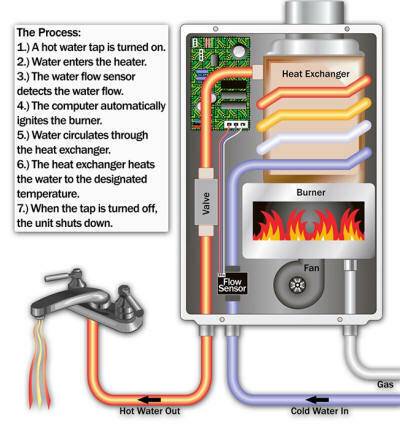 Combi boilers only generate what heat is needed. It’s a bit like a big kettle, when hot water/heat is needed, it turns itself on and generates what is required without wastage. Not only do they waste less energy, but because of the advances in technology, the heat is generated faster and much more efficiently. Combi boilers also save lots of space in your home and are aesthetically much more pleasing as everything is combined in to one single unit. Can I get a Free Combi Boiler under the ECO Scheme? If you fit the criteria which has been set by the governments, you could have a brand new, A rated combi boiler installed in to your home free of charge. There are installers up and down the country which are ‘Green Deal’ approved. This means they are qualified to survey your home, calculate its efficiency and move forward with the installation of your combi boiler. What is a Condensing Combi? A condensing combi is a highly efficient version of, an already very efficient combi boiler. A condensing boiler takes the hot waste gas which would normally be lost of the flue and recycles it back through the system. This saves a lot of energy. A combi condensing boiler is the most efficient, standard heating system which can be installed in the UK today. I always wondered what a combi boiler was! Hi its Jonathan here from BoilerGrants.org.uk – You apply for a free boiler via our website! I claimed my free boiler! Can I get a free boiler if I’m on Income Support? I have a boiler with a hot water cylinder at the moment, can I get a combo boiler installed via the scheme? This is stupid, my boiler is broken but I have to pay for a new one by myself! Sit on your a**e all day and you can get a combo boiler for free?! Apply for a new a boiler through our site. Its easy! Hey there, You must have done a great job. Check out my site! What is this free boiler scheme all about?